Welcome to Day #2 of Chocolate and Cherries Theme Week. 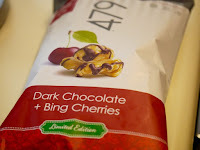 Dark Chocolate + Bing Cherries (popcorn) from 479 degrees (San Francisco, CA). Founder, Jean Arnold, trained at Cordon Bleu in London. And she had a thing for popcorn (the perfect snack). Eventually Arnold founded a high-end family of flavored popcorns. The company's name was inspired by what Arnold cites as the optimal temperature for corn popping—479 degrees. 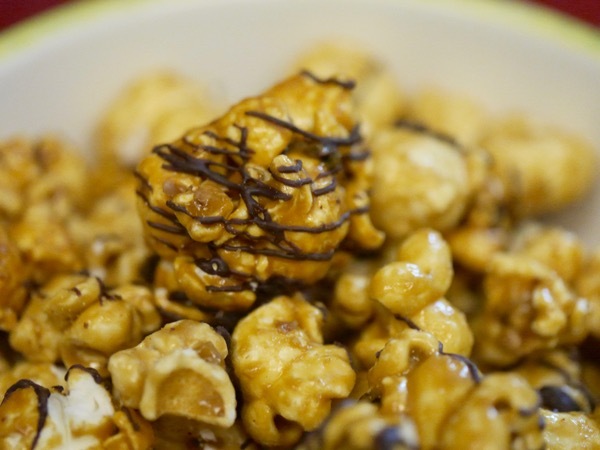 And today's organic flavored popcorn reflected this care and precision. 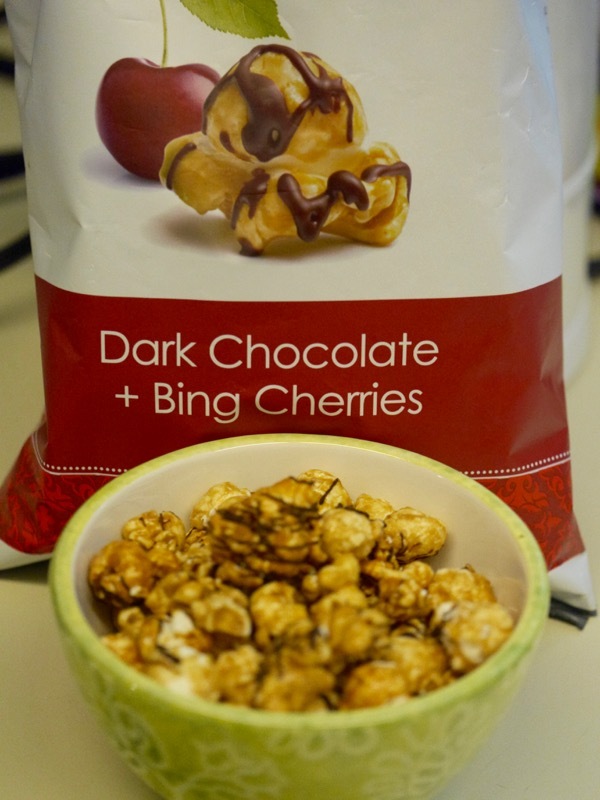 This Limited Edition Dark Chocolate + Bing Cherries popcorn flavor was quite good. Air popped (Non GMO) popcorn was coated with a veil of flavorful but light cherry infused sweetness and a thin drizzle of dark chocolate icing. I loved having a whole grain (popcorn), gluten-free snack that wasn't completely encased in sugar and corn syrup. 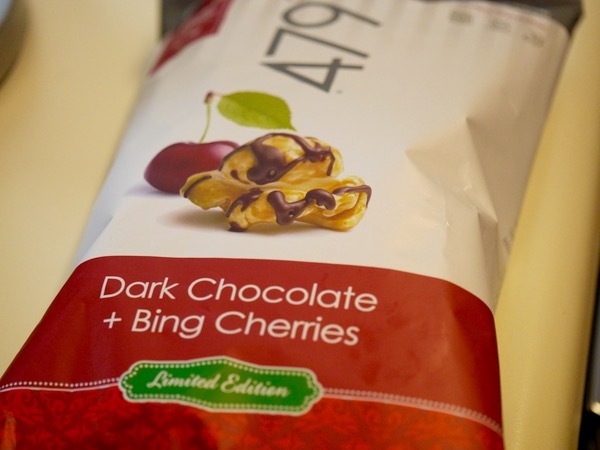 The coating was made of agave syrup, brown sugar and butter blended with Bing cherries and cherry extract + a hint of sea salt. Today's popcorn contained no trans fat, artificial flavors or colors, and it was certified kosher and gluten free.